Currently, our state fisheries are managed using bag limits, slot sizes and seasonal closures, but we are still seeing a downward trend of many recreationally harvested and catch-and-release only species. 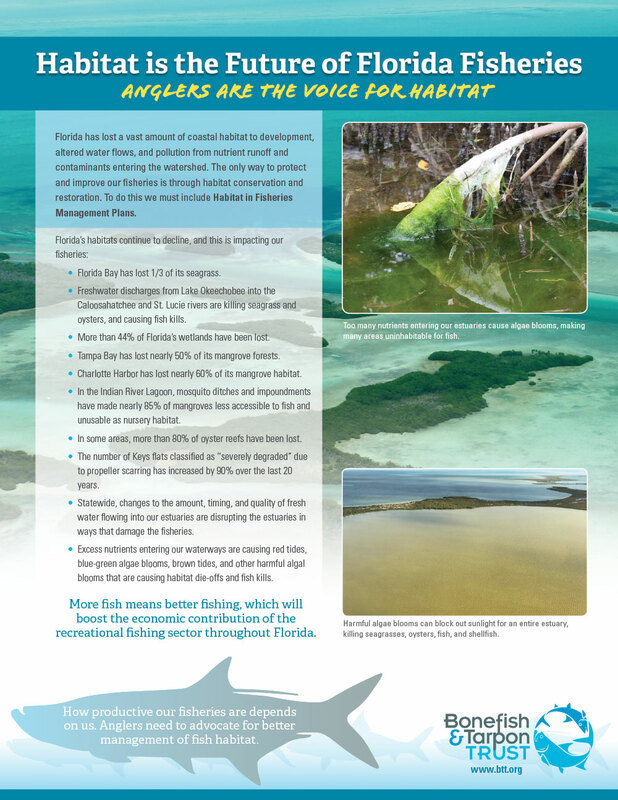 The reason is the vast decline in habitat (both quantity and quality) in Florida. 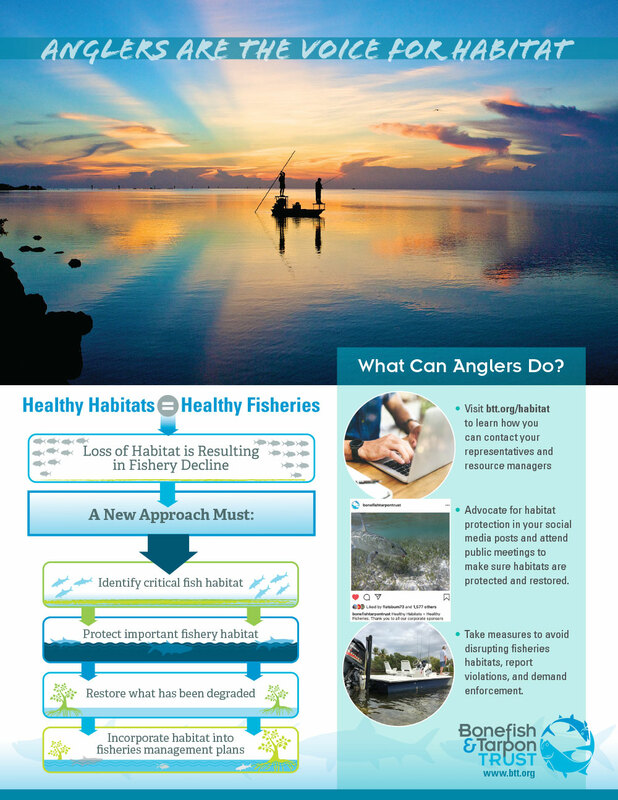 It is time for anglers to advocate for the inclusion of habitat in fisheries management. 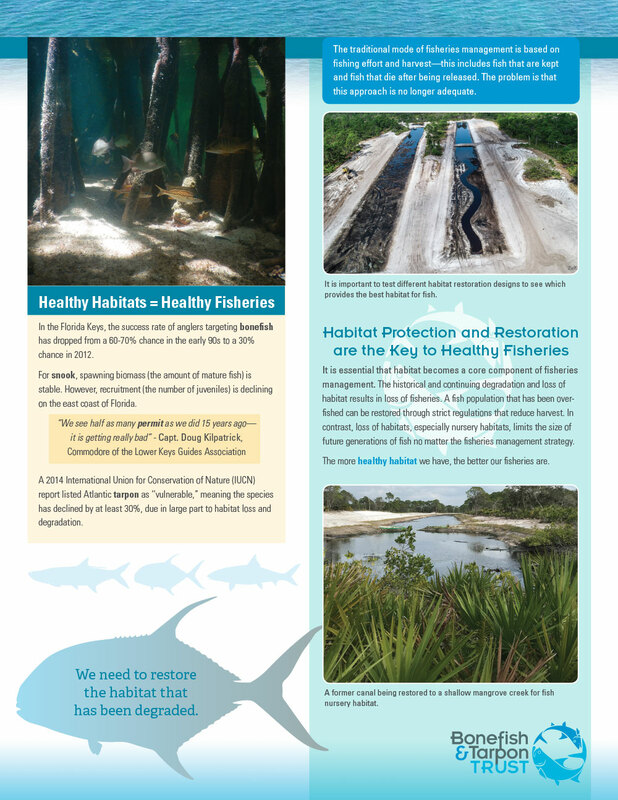 Read on to learn about why we need habitat in fisheries management and how you can make a difference. 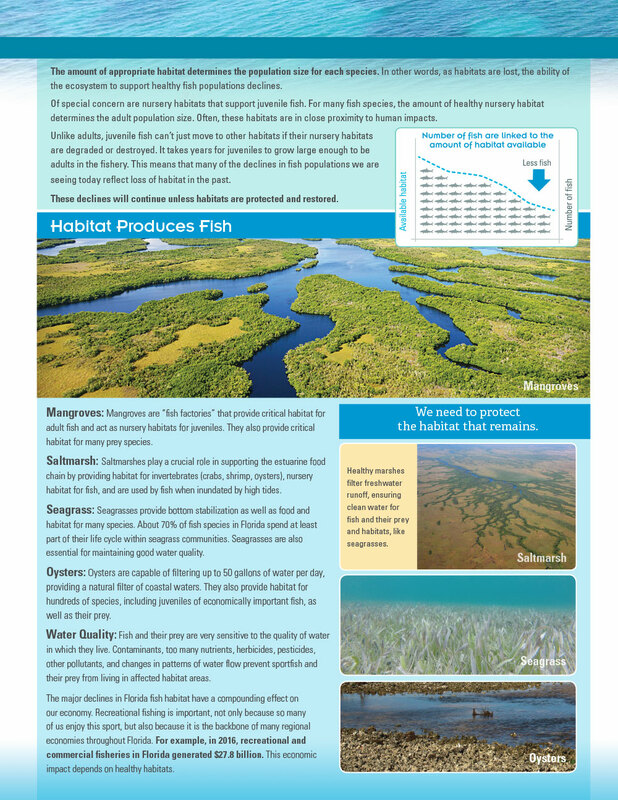 To contact FWC with habitat concerns or to advocate for habitat in fisheries management, click below and fill out the form.